Things Are Never As Scary When You've Got a Best Friend. 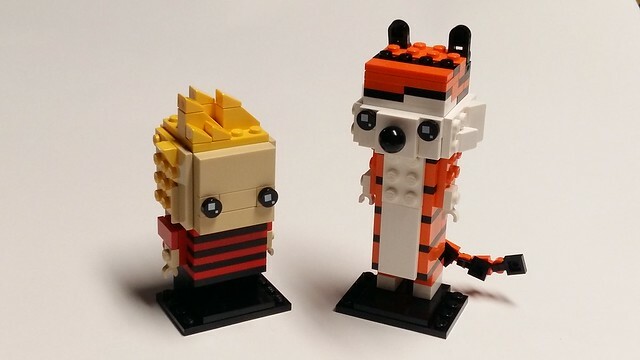 Adam Dodge brings us these instantly recognizable Brickheadz of cult favorites Calvin and Hobbes. Adam admits to "stretching" the accepted boundaries to make the Hobbes build more proportionately appropriate. Adam is on a roll with this theme, it's one I personally haven't bought into just yet but I'm certainly starting to see the appeal!